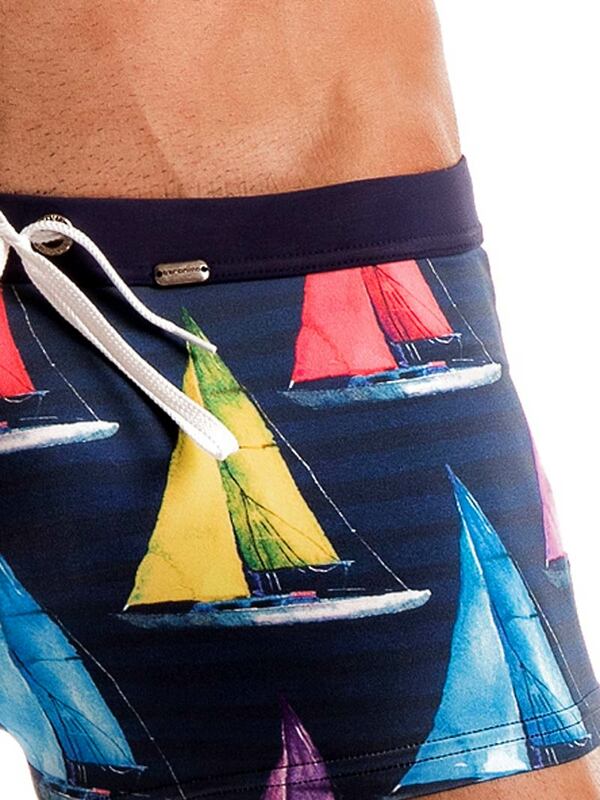 Seafaring-inspired swim trunks for men are a trendy choice that never go out of style. Designed with an accommodating 4-way stretch, quick drying, lightweight and sumptuous fabric. This Geronimo 1901b1 swim trunk's flattering silhouette and luxurious fabric will take you to the tropics, even in your own backyard.